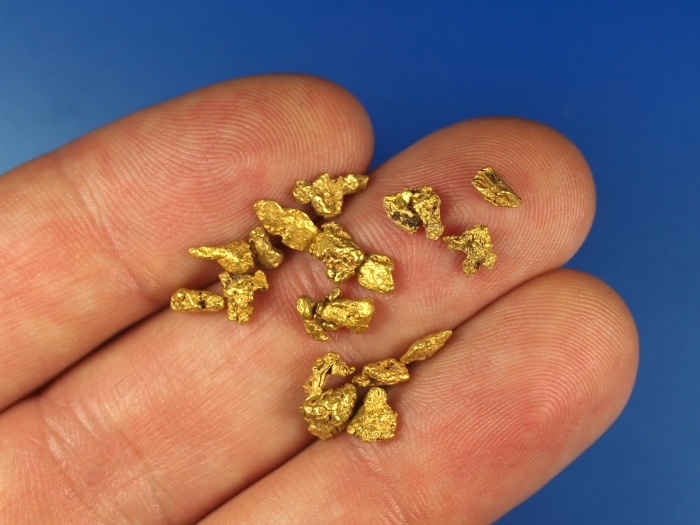 A nice parcel of natural gold nuggets found in the desert near Phoenix, Arizona. 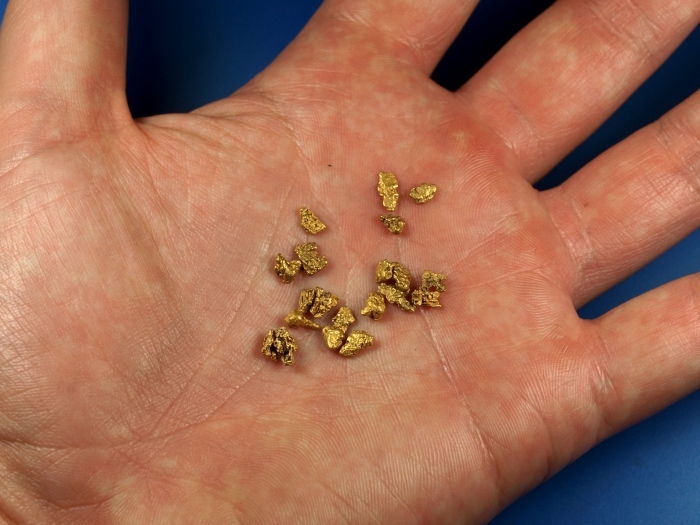 These are fresh out of the ground, found this fall by a prospector with a dry washer. Their combined weight is 4.8 grams.